I had some time yesterday morning. Because my alarm went off at 5:30 in the morning, and even the thought of going to the gym couldn’t get me out of bed. I was tiiiiiiiirrrrrred. But then, at exactly 6:15, I decided I was awake and had better get out of bed. My workout was scrubbed for an extra 45 minutes of sleep. Sometimes you just have to give yourself those little indulgences. 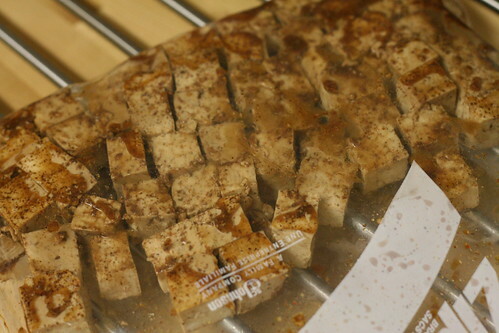 So, with all my free time in the morning, I decided to marinate tofu. 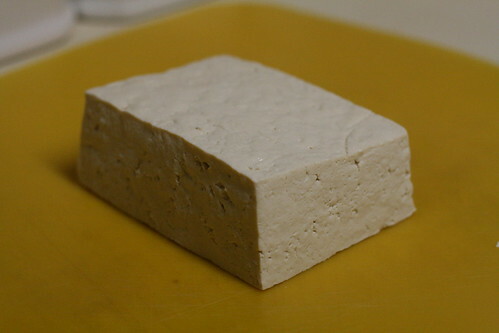 This tofu was pressed to remove the extra moisture for about 10 minutes. Stuff was thrown in a bag. And then smooshed to combine. 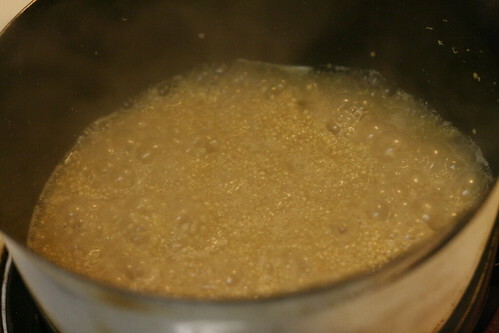 Tofu was added, and then shaken. Not stirred. 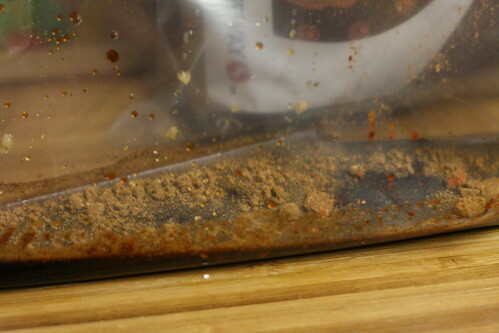 And then I threw the bag in the refrigerator and went to work. 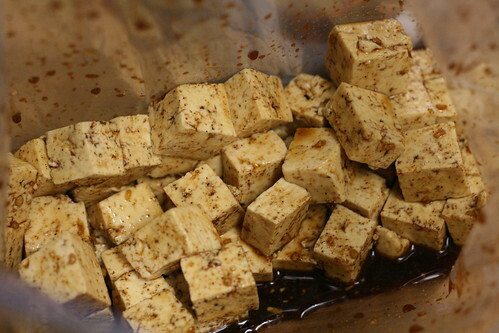 The tofu had sucked up almost all of the marinade, but I tossed it out onto the cookie sheet and poured the last drops of marinade on top. 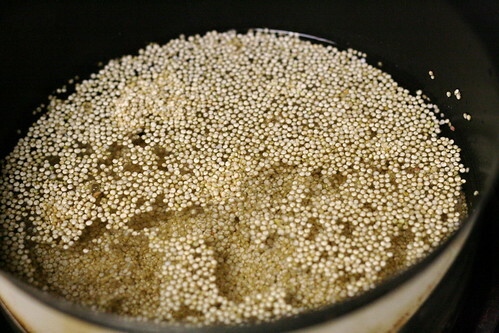 Once that was in the oven for a few minutes, I started some quinoa. And then all that was left was assembly. This was so fast and easy. 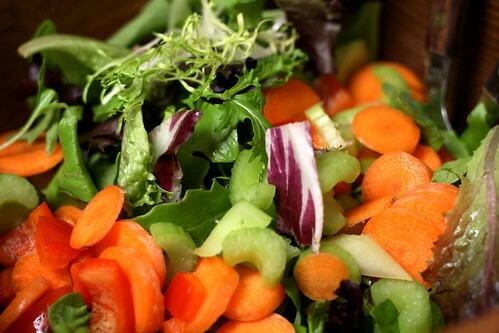 From turning the broiler on to sitting down at the table was about 30 minutes. 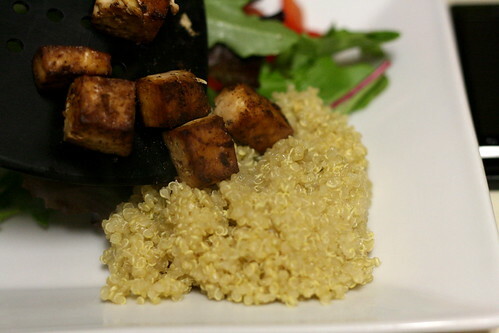 Although this tofu wasn’t knock your socks off and “call yo’ mama” good, it was delicious and far moister than my typical (10 minutes) marinated tofu. So if you have some time tomorrow morning, give it a shot. 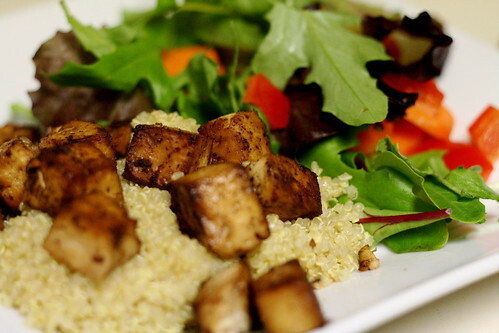 Wrap tofu in a towel or paper towel and press under a few plates or cook books for about 10 minutes. Dice into desired shape (cubes or slices) and set aside. 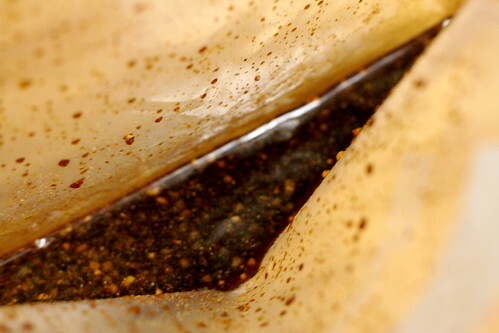 Combine remaining ingredients in a ziplock bag or bowl, whisk or shake to combine. 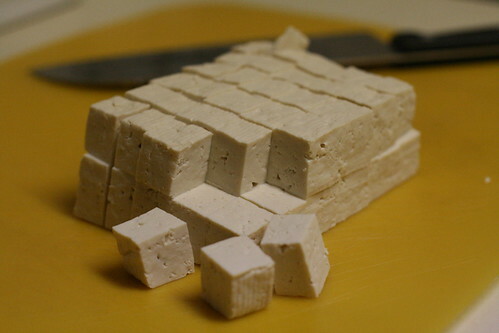 Add tofu, then refrigerate for half an hour or up to 8 hours. 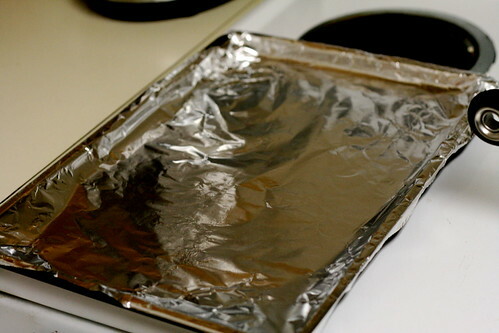 Preheat broiler and cover a cookie sheet with foil. 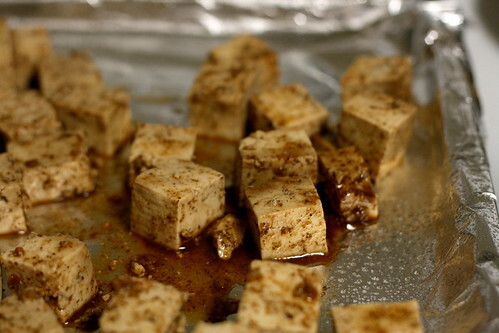 Spray the foil with olive oil or cooking spray, and then spread tofu into a single layer on the cookie sheet. 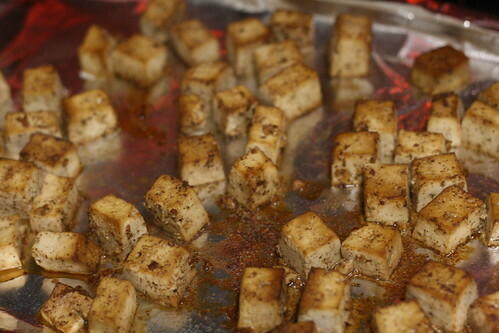 Remove tofu from the oven when the corners are crispy and the tofu is a nice dark color. Serve over quinoa, rice, couscous, or whatever floats your tofu boat!